As noted recently, we all love a good index, especially when the index aggregates a bunch of different data into “buckets” that make more intuitive sense. And it helps when indices have been “around for a while”. In data geek parlance, “around for a while” translates to: ‘serve as a longitudinal dataset to allow for consistent evaluation of trends over time’. 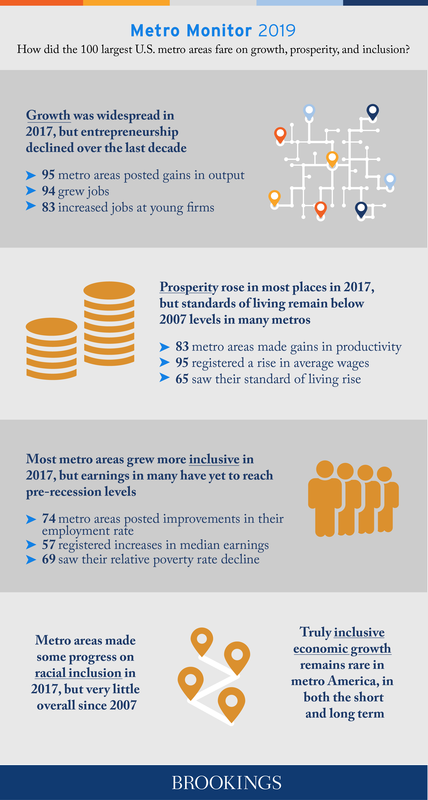 Check out the image below for access to the full report including interactive “pin maps” that show relative strengths and weaknesses for all metros, countrywide, across the four categories. Individual metro by metro reports are available, as you will see in the Atlanta example below.